KYRA(pronounced either as keer-ah OR Kie-rah). Why the name KYRA Medical? KYRA has a number of meanings all of which resonate with what we want KYRA products to embody. 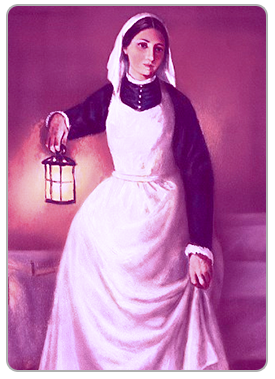 Florence Nightingale is credited with founding the modern nursing profession. A schoolteacher turned Civil War nurse was intrepid on and off the battlefield. She is credited with founding the American Red Cross. She is rightly credited with founding the modern nursing profession. In the Crimean War, Florence spent her night rounds giving personal care to the wounded. She was the first woman to win the United Kingdom’s “Order of Merit”. The first African American army nurse who served the Union Army in the US Civil War. She later founded the first school to teach freed slaves in Georgia. The first woman to receive the United States Air force Distinguished Flying Cross. Mary’s C-47 aircraft, carrying wounded soldiers ran low on fuel and crashed. After the crash she provided critical medical care to twenty- four badly wounded and injured soldiers until further aid arrived 19 hours later. All of her patients survived. These women became the first licensed female doctors in their respective countries. They graduated in 1905 from the Women’s College of Medicine in Pennsylvania (USA). Born a slave in 1818 she fought for her won her freedom in California. She trained as a nurse and soon became one of the first African American land owners in Los Angeles. In later years she amassed a fortune which was used to establish charitable medical care societies and schools for the poor in California. Her work in gynecology and obstetrics led her to observe that the “key to health of both mother and infant post- partum are weekly health checks” leading her to found first post-ante partum clinic in New Zealand whilst Medical Superintendent of St. Helen’s hospital.